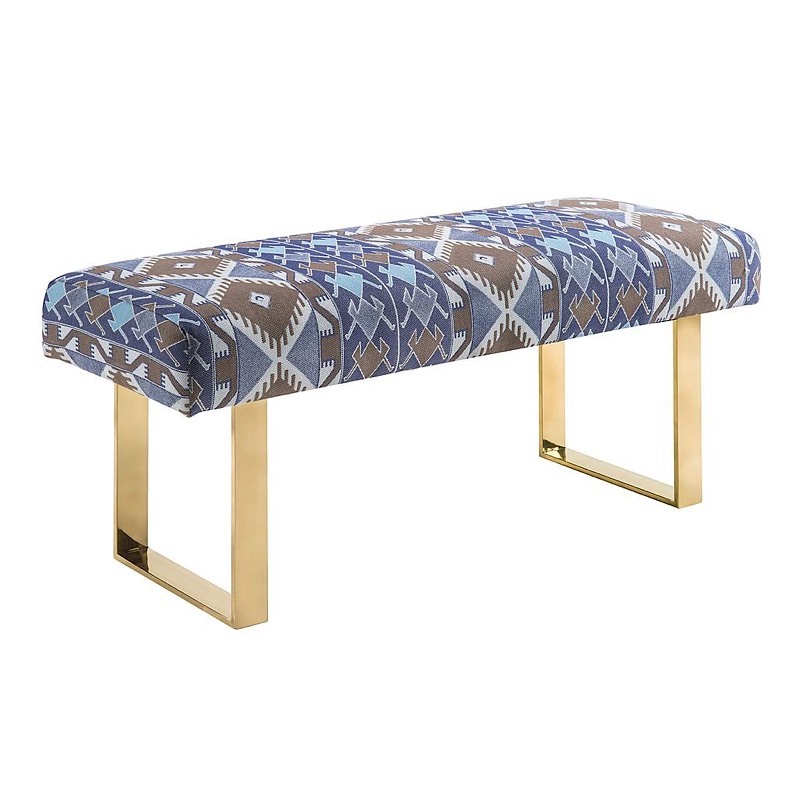 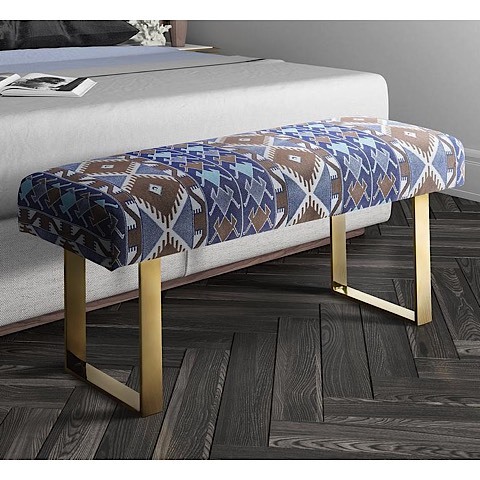 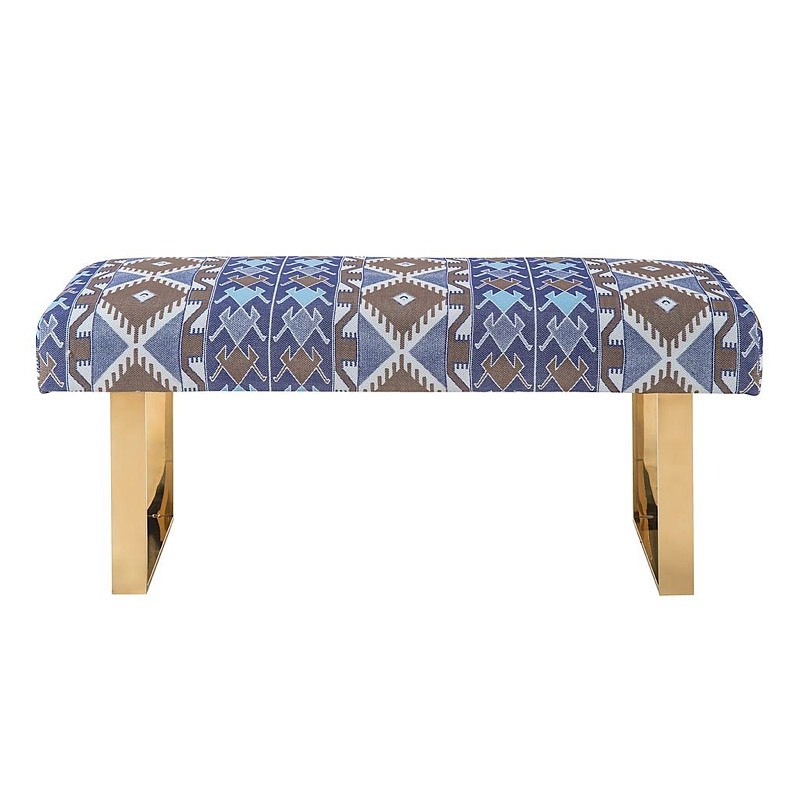 Tribal gets a chic remake with our Mohegan Bench. 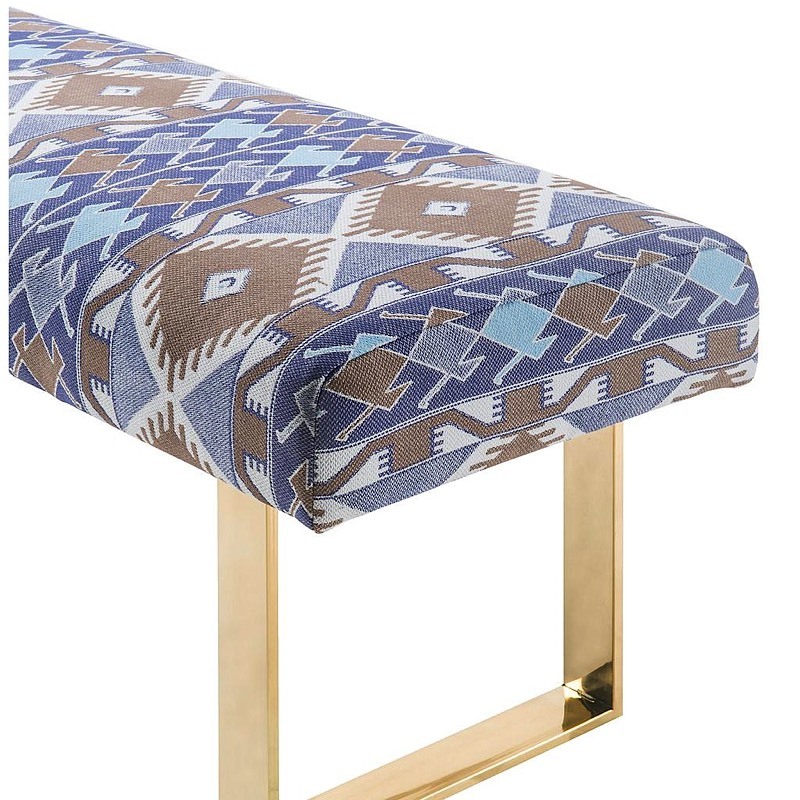 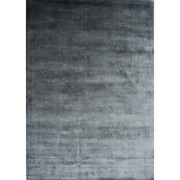 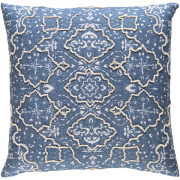 You'll love the trendy tapa print in subdued blues and browns against that pop of our signature glossy-gold base. 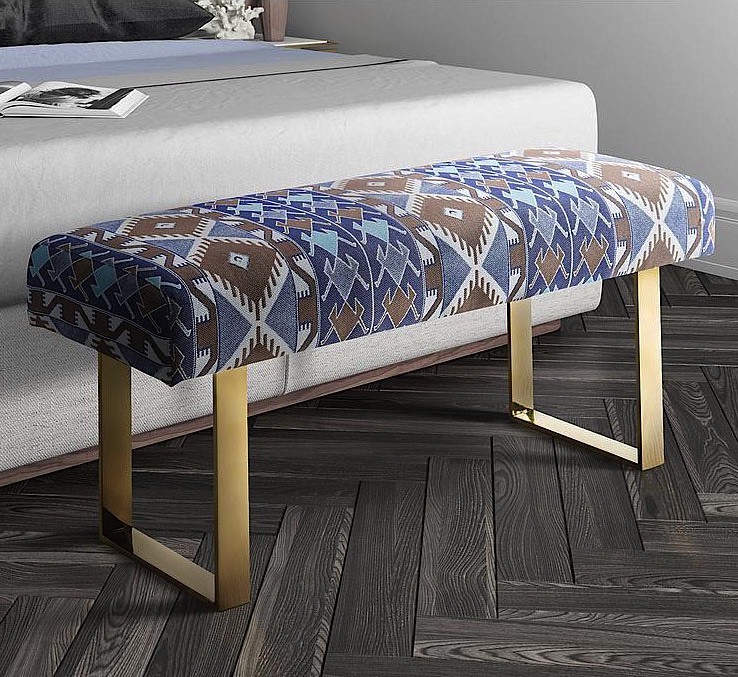 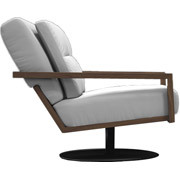 The Mohegan Bench is that versatile piece that your bedroom, entry way, or living room has been lacking to offer additional seating while aesthetically pumping up interest.